Hi loves! Wow, remember me saying I only bought the 6 colors that I thought I'd really wear from Catrice, and waiting to get some others to show on the blog? Well, I already caved and bought some more haha. BUT I am very happy because out of 3 I bought, I already tried 2 and they are both STUNNING! 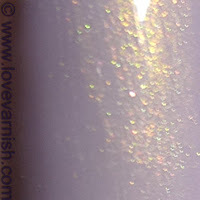 This is Catrice Lilactric, a very pale lilac (oh really?) 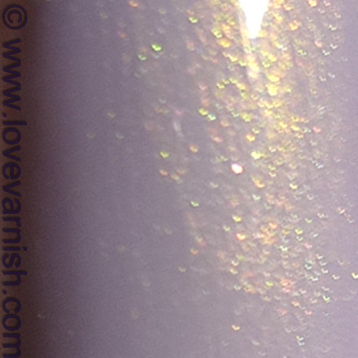 with gorgeous golden shimmer, kinda like the shimmer in Mint Me Up and Squeeze Me. I needed 3 coats for opacity (it seemed okay at 2 but those pale shades can be slightly patchy) and besides the wonky and stupid brush it applied nicely. I really love the soft looks of this one and I am guessing it will be used again soon! What do you think of Catrice Lilactric? This is so gorgeous I can't stand it! Looks perfect for spring! Aaaaahhh!!! This is absolutely gorgeous!! Thanks, I do too ^^. You really should, it is a stunner! And I got one for you too ^^. You know where to find me right ;)? It is ♥ something special! They are pretty right? The new collection has so many beauties. I am actually kinda glad you don't have Catrice, otherwise there would be nothing to swap for ;-). Haha it is hard right ;-). They are stunning! but I've seen some swatches on which this baby looks a little brush strokey, doeas this depends on the lightning? This polish is really gorgeous! Simplicity always wins!